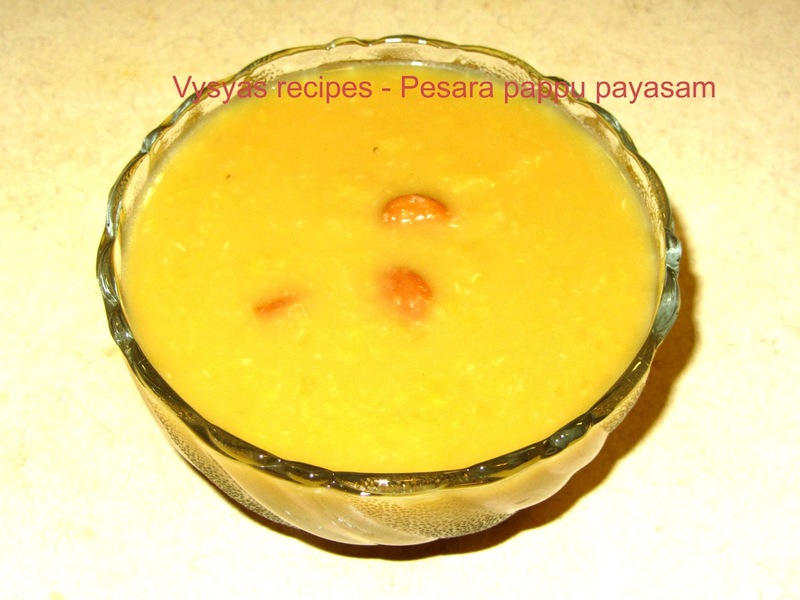 Pesarapappu payasam is a festival recipe.During Most of the South Indian Festival Occasions this Payasam is prepared. Moong dal (pesara pappu) like other lentils and pulses are good source of protein and dietary fibre. Its regular use during childhood, pregnancy and lactation helps one to get the required nutrition and promote health.Now we learn nutritious and delicious Pasiparuppu payasam. Moong dal - 1 cup. Grated Coconut - 1/2 cup(To extract Coconut Milk). Saute the Moong dal for few minutes in a kadai, till you get nice aroma. Then Wash it, add 3 cups of water and pressure Cook it for 4 whistles.Then Smash it using a Smasher or mathu(long wooden ladle as shown in the picture ) till mushy. Add Jaggery to the kadai, add little water and melt it, till you get the syrup, and filter it to remove the impurities. Finally Saute the cashews in a ghee,till it turns golden brown colour and keep it aside. Now everything is ready, Just we want to mix everything. I have added 3/4 cup of coconut milk.stir well.Allow it to boil once. Then add roasted cashews, stir it , let it be as such for another 2 minutes in a medium flame.Then remove it from the flame. Now creamy Moong dal payasam is ready.you can serve it hot or cold.